Creating opportunities for outdoor learning and discovery. Prescott School is committed to providing the highest quality education for all students. Prescott will offer each student the opportunity to develop competence in basic skills, encourage the creative potential of each individual through exposure of science and the arts, and develop students who are productive citizens both in school and the community. Prescott will work toward these goals while promoting a safe, orderly and comfortable learning environment. 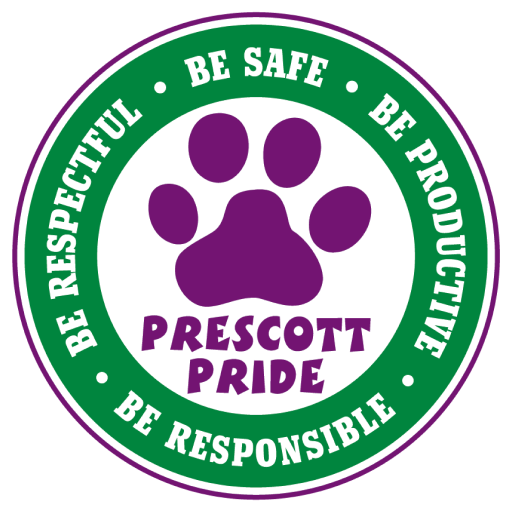 The Prescott community will celebrate diversity and promote pride in neighborhood, school and self. The curriculum will be flexible, developmentally appropriate and adapted to the needs of learners. Effective classroom instruction require collaboration among all staff, consistent classroom management and high expectations for all students. Students need to feel and accept ownership and responsibility for their learning and their school. Prescott will have high expectations so that each child reaches her/his full potential.